Maybe you are wanting to achieve lustrous, healthy-looking locks after damaging your hair with chlorine and sun exposure this past summer. Perhaps you are aiming to give your hair extra volume for a night on the town, or are trying to tame even the most rogue wispies and frizz before your 8 a.m. meeting. If any of these scenarios ring true to you, you should consult the expert hair stylists at Paul Beanué NY Salon to determine which professional products can help you attain your desired results. Our 2,000 square-foot hair salon in Charlotte, NC contains an in-house beauty boutique in which you can purchase some of the best professional products that come highly recommended by our talented, knowledgeable team of stylists. 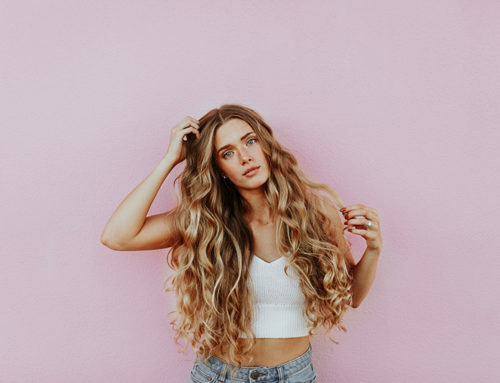 After assessing your hair care concerns, our Paul Beauné NY Salon team can help direct you toward product lines that best suit your hair type in order to help you get those long, silky tresses or that full, voluminous hairdo from your favorite magazine. These three brands can help you achieve nearly any goal that you have for your hair. Whether you are looking to rejuvenate damaged hair, create a funky, modern style, or simply use products that do not contain parabens or other harsh chemicals, Paul Beauné NY Salon’s team of professionals can help you find the perfect product. Want to Learn More About the Brands in Our Beauty Boutique? If you are looking for a product line that is environmentally friendly, formulated without parabens, and uses natural ingredients, then look no further than the Aveda product line. We carry this brand in our hair salon for those customers who want to achieve both simple and complex hairstyles without using unnecessary, harsh chemicals. Stylists at our hair salon in Charlotte recommend using Aveda brand products in your daily routine if you want to naturally improve your hair’s overall appearance, and strengthen your strands. Whether you have large amounts of breakage in your hair due to over-processing, color-treated hair that you would like to keep looking fresh, or flat locks that need some extra lift, there is an Aveda shampoo, conditioner, treatment, or tonic that addresses your specific concerns. These Aveda products are infused with botanicals and natural-hair strengthening agents like proteins from wheat and quinoa to help you achieve strong, healthy hair. Not only do these products help naturally rejuvenate your hair, but they also provide you with a relaxing hint of aromatherapy while you shower or wash your hair. Our Charlotte hair salon is proud to carry this environmentally friendly product line that works with your hair—not against it—to create lustrous and sophisticated modern styles, and we are also excited to offer our customers a wide range of Aveda body lotions, hand and foot creams, scrubs, and other naturally luxurious products in our beauty boutique. Treat yourself to some of these wonderful offerings, or give them as gifts to your friends and family! Our team of knowledgeable hairstylists at our hair salon in Charlotte, NC frequently use this product line to give customers—and themselves—modern, trendy hairdos. Each of Bumble and Bumble’s shampoos, conditioners, and sprays are crafted to help you achieve the latest runway looks that the Vogue models are sporting for the season. These exceptional hair cremes and sprays provide unparalleled hairstyling results and help you achieve a look that will hold up throughout your day or evening events. The team of professionals at our Charlotte hair salon especially enjoy using the Hairdresser’s Invisible Oil Heat/UV Protective Primer™ before straightening or curling customers’ hair, which keeps their styles looking shiny and fresh without damaging their locks. Along with this primer, our stylists at Paul Beauné NY Salon also recommend using the Styling Creme™ for shorter, razor-cut hair in order to give your “do” some extra volume and hold. However, if you are trying to create a trendy up-do, or style longer locks, the incredibly brushable and flexible Spray de Mode™ is the professional product for you. This versatile hairspray can help create and hold nearly any runway-ready hairstyle that you desire. Although Kérastase offers a full line of shampoos and conditioners, the team of stylists at our Charlotte hair salon recommend these masks and balms as perfect complements to our in-salon hair treatments. These products help strengthen and revitalize your damaged, frizzy hair, and work wonderfully after receiving a Kérastase Caviar Treatment™ at our hair salon in Charlotte. Ready to Try One—or Two or Three—of These Professional Products Recommended by our Paul Beauné NY Salon Stylists? If you are ready to give some of these professional products from Aveda, Bumble and Bumble, and Kérastase a try, stop by our hair salon in Charlotte, NC today! We are conveniently located in the South Park neighborhood and are waiting to assist you with your next hair care product purchase.